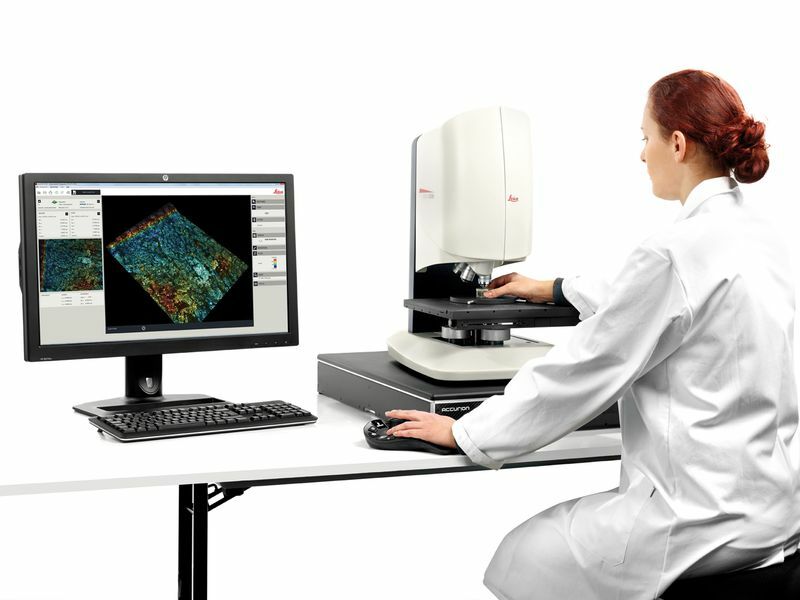 Designed to help you maximize efficiency, Leica DCM8 unites the advantages of High Definition confocal microscopy with interferometry into one versatile, dual-core system. Ultra-fast analysis is ensured thanks to one-click mode selection, sophisticated software and HD confocal scanning without moving parts. Whether you are working in production or research, the Leica DCM8 delivers the accurate, repeatable metrological analysis results you need in order to optimize material performance. Does your surface have steep slopes or complex shapes? 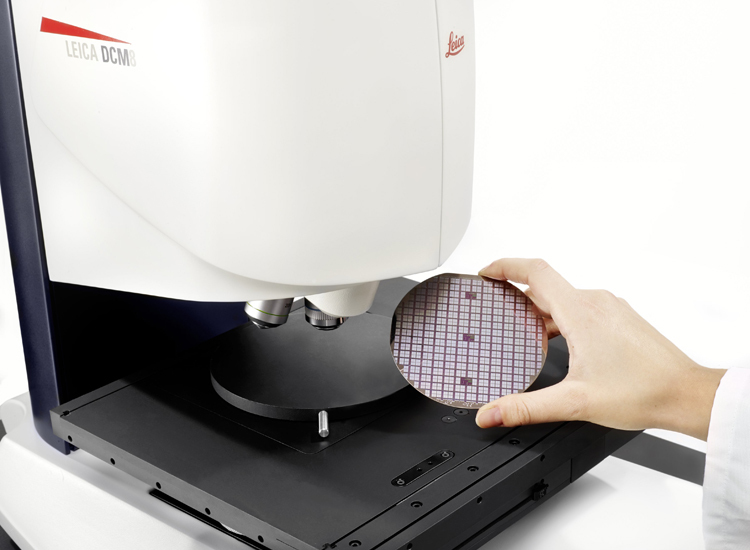 Achieve vertical resolution up to 2 nm withHD confocal microscopy. Is your surface smooth with micro peaks and valleys? Choose from three interferometry modes: Vertical Scanning Interferometry (VSI), Phase Shift Interferometry(PSI) or extended PSI (ePSI) for resolution of up to 0.1 nm. The Leica DCM8 employs innovative HD microsdisplay scanning technology. With no moving parts in the sensor head, fast and reproducible data capture is guaranteed. 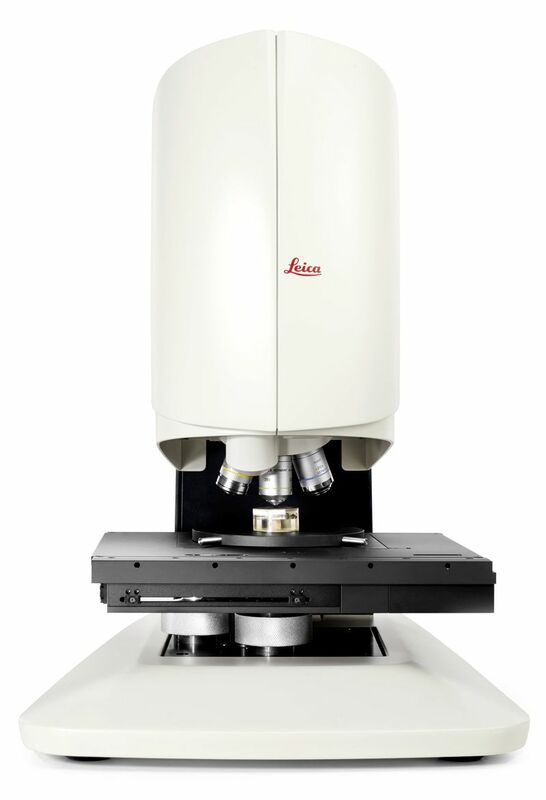 The integrated HD CCD camera has a large Field Of View allowing more of your sample surface to be analyzed at once. To obtain a seamless, precise model of an even larger surface area, simply select the ultra-fast XYtopography stitching mode. By combining outstanding optics with a HD CCD camera, plus red, green, blue and white LED light sources, the Leica DCM8 delivers impressive HD color images. Pulsing the LEDs sequentially allowstrue color information to be recorded in each pixel. Resolution and contrast are therefore increased forcrystal-clear visualization of your sample. The HD microdisplay scanning technology with no moving parts, CCD camera and 4 LEDs are housed in a sturdy, compact sensor head. This innovative design guarantees fast, reproducible, noise-free results. Moreover it delivers the durability you need for virtually maintenance-free operation over a long lifetime. Our user-friendly LeicaSCAN software controls the Leica DCM8. Recipe programs, multi-sample and statistical analyses optimize workflow. 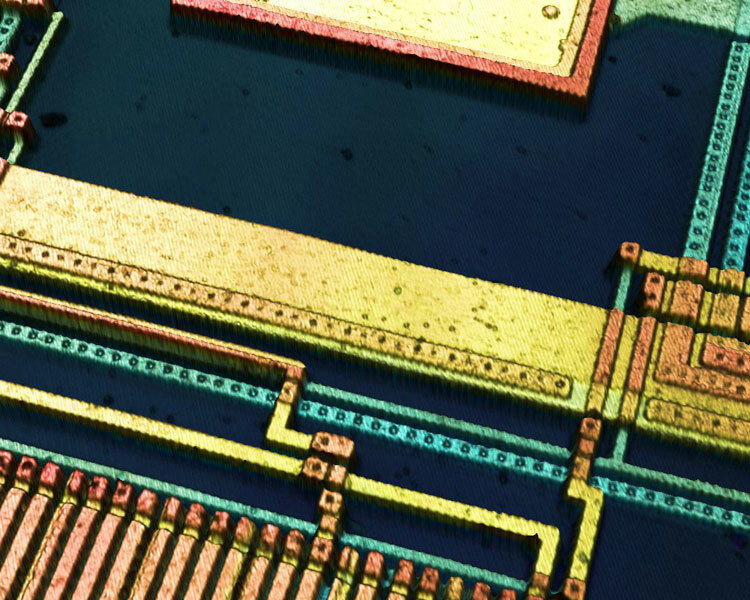 Do you need to carry out more sophisticated 3D measurement tasks? Then opt for our Leica Map software, with its comprehensive set of advanced analysis tools. 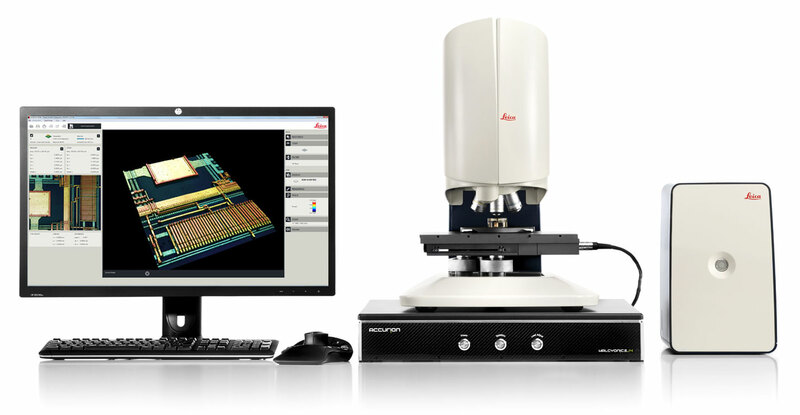 And, when 2D is your priority, the Leica Application Suite further expands the system’s measurement capabilities. 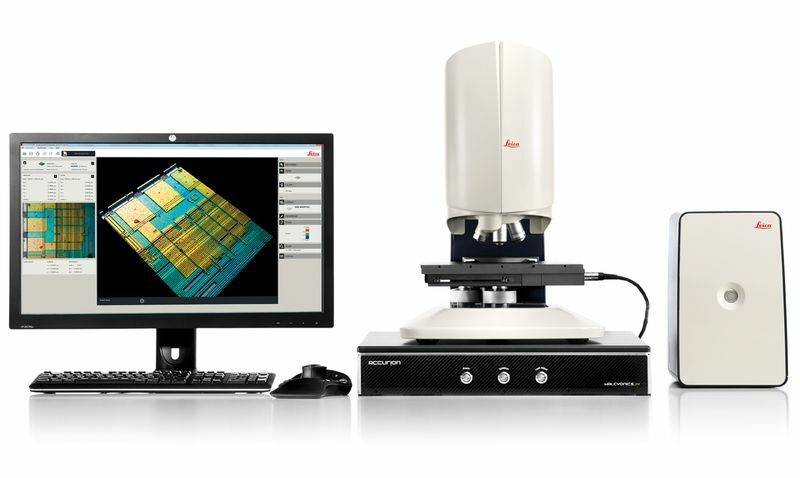 The Leica DCM8 is configurable to match your sample. From reflective surfaces, to surfaces below a transparent layer, to samples requiring large working distances – we have the premium quality objective you need. 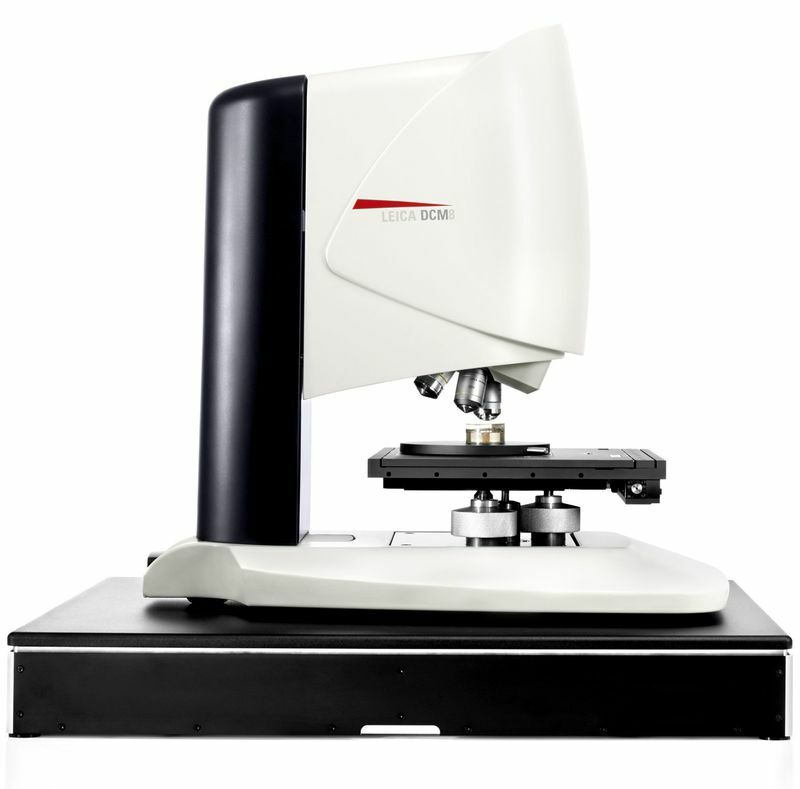 For large samples, select from our range of adjustable columns and motorized stages. In addition the system employs 4 different colored LEDs allowing you to choose the right wavelength for your material. 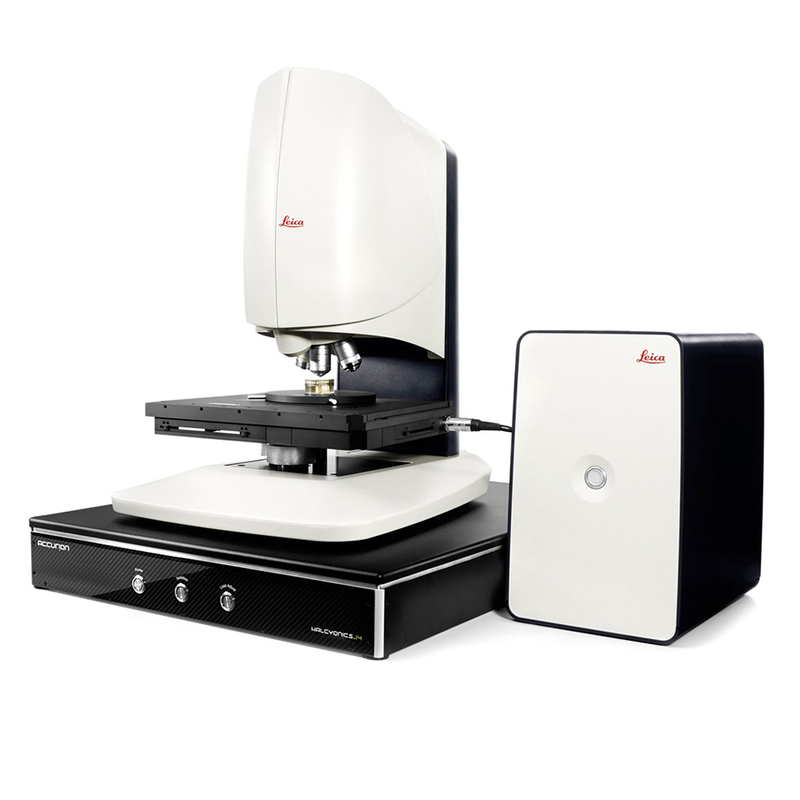 Adaptable to your sample, the system can be configured with a wide range of Leica objectives, motorized stages and columns. To meet your documentation needs it includes a HD CCD camera and 4 LED light sources (RGB and white), delivering realistic color imaging. The complete optical surface metrology system. The compact, sturdy design combined with no moving parts in the sensor head saves space and ensures a long life span. 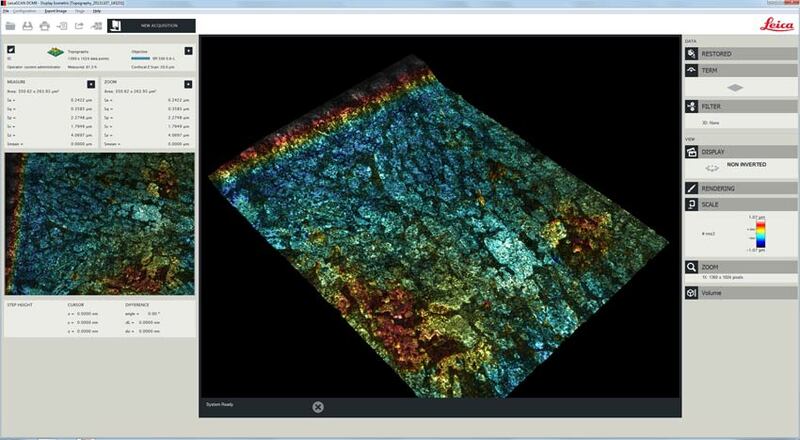 Intuitive software makes it fast and simple to capture and analyse surface images and topographical data. A selection of stages, columns and objectives are available to meet your requirements.